Join the ESET Authorized Training Center and improve the skill-set of your sales force and customer care representatives. Why join ESET Authorized Training Center? Free of charge online training enables your staff to develop their knowledge and skills. Upon successful completion of the training and passing the test, all participants receive certification. 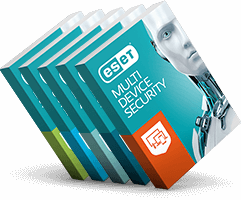 ESET certification opens the door to a range of benefits, offered by ESET partners in their respective countries.